The event will feature arts & crafts, interactive music studio and family activities, superhero booths, and a finale feature film on the beach at sunset. 100% of Ticket sales go to Kapiolani Medical Center for Women & Children. 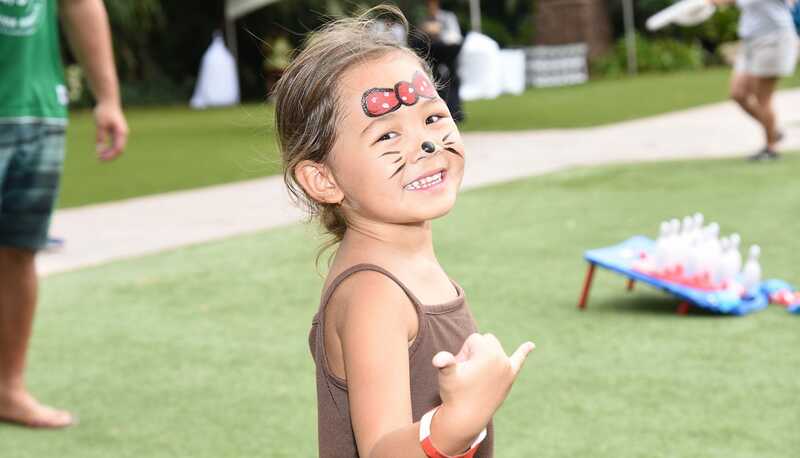 Since 2014, a total of $275,000 has been raised by the Ko Olina Children's Festival for Kapiolani. Contributions support Kapi‘olani’s efforts to provide health care services and specialized programs for women and children regardless of a family’s ability to pay. Kapi‘olani Medical Center for Women & Children is Hawai‘i’s only maternity, newborn and pediatric specialty hospital. It is well recognized as Hawai‘i’s leader in the care of women, infants and children. Discover a family paradise with a touch of magic at Aulani, A Disney Resort & Spa. Aulani features 351 hotel rooms and 481 Disney Vacation Club villas, an 18,000-square-foot spa, a children's club, wedding lawn and an expansive collection of swimming pools. Special room rates are available (limited to space availability). Experience luxury on O'ahu like never before - Four Seasons Resort O'ahu at Ko Olina is a playground for keiki and parents alike. Four Seasons Resort O'ahu features 370 luxury guest rooms and suites, breathtaking panoramic ocean views, an award-winning spa, and an amazing selection of dining options. Special room rates are available. Ko Olina encompasses 642 acres with sweeping ocean and mountain views and a string of jewel-like lagoons connected by more than a mile and a half of seaside pathways. The resort is edged to the north by the pristine nature preserve of Lanikuhonua (“where heaven meets the earth”) and to the south by four lovely beach coves. Yes! 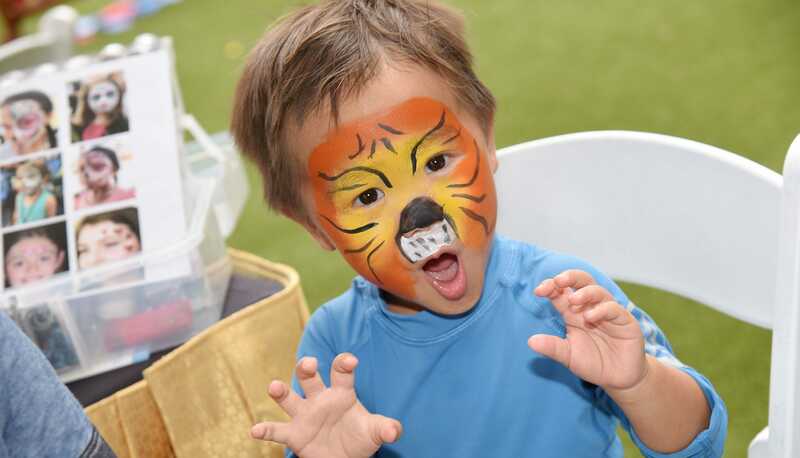 Children's Festival activities, events and entertainment can be enjoyed by the whole family. Tickets may be purchased online through Eventbrite. All guests must exchange their online ticket receipt for Festival wristbands at Admissions. Tickets may also be purchased on the day of the event ($30 adults; $25 adults Pre Sale; $20 active military Pre sale; $15 keiki 4-12; $10 military keiki 4-12). Subject to availability. Children 14-under must be accompanied by a parent or legal guardian at all times. All sales are final; no refunds, exchanges or replacements. Event will proceed rain or shine and all seating will be provided on a first-come, first-serve basis. Entertainment and activity schedules are subject to change without notice. Yes, food will be available for purchase throughout the event. 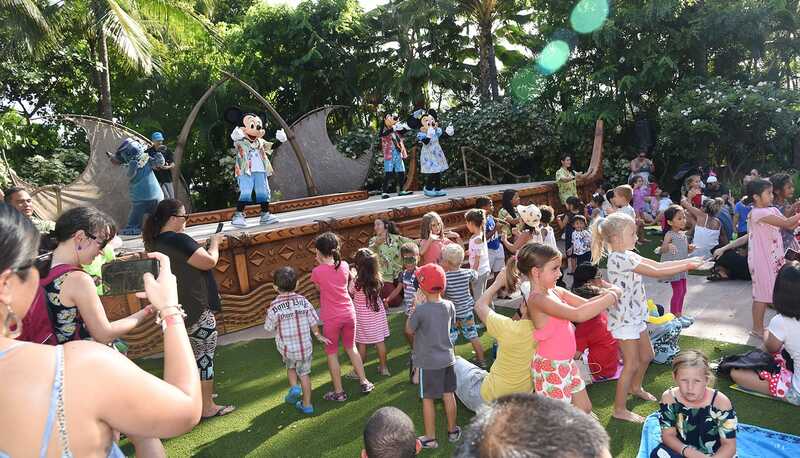 Will Festival guests have access to the amenities at Aulani or Four Seasons? Festival guests are more than welcome to patronize the restaurants, lounges and retail shops at both properties. Access to swimming pools, fitness centers, kids programs and beach and poolside lounging areas are limited to registered guests only. Convenient parking and complimentary trolley transportation for Festival-goers will be available. Are Festival tickets refundable due to inclement weather? The Ko Olina Children's Festival will proceed rain or shine and there will be no refunds for cancellation or interruption due to inclement weather or other acts beyond its control. Alcoholic beverages, coolers, glass containers, backpacks, umbrellas and high back chairs are strictly prohibited.